Get Ultimate Air Control from MyAir Series 5 by Advantage Air and let Hewitt Trade Services handle it all! MyAir is Advantage Air’s premium reverse cycle air conditioning management system with 10 zones and individual room airflow control. 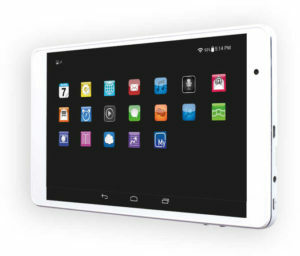 As daily life migrates online, it’s handy to have a dedicated tablet for the home. In addition to controlling MyAir and MyLights, MyPlace lets you keep track of the family’s calendar, check emails, order groceries, play music, pay bills and so much more … all from a centrally located hub that never needs charging, or goes missing! We supply, install, repair and service Air Conditioners across Brisbane.